It is unlikely for relatives of missing people to come forward, or those who have been released after being held and tortured speak out, for fear of renewing their ordeal. Sabeen Mahmud, a peace activist and founder of The Second Floor (T2F), was shot dead on Friday, April 25, 2015, after hosting a talk on Balochistan. Her guests included the now infamous Mama Qadeer, who was also the most prominent invitee at an earlier talk at LUMS. That talk was cancelled after intervention by the state. The subject she highlighted right before her death, and the manner of it, suggests unusual bravery. It also puts an onus on the rest of us to discuss it more. Obviously, Balochistan is too complex an issue to encompass in its entirety, especially for outsiders. We can, though, look at the information publicly available about the missing persons, as well as the insurgency, to at least draw some basic conclusions. Mama Qadeer’s story is well known by now. His son, Jalil Reiki, was “displaced” by state agencies and found dead three years later. One has to note that, appallingly, Mama Qadeer’s story is not unique. People in Balochistan – activists and those suspected of working with/being separatists – have been subjected to extra-judicial killings and disappearances for the better part of the last decade. The number of such cases, however, is a contested issue, with a huge gulf between the claims by Baloch activists, human rights bodies and the statistics of the government. Mama Qadeer’s Voice for Baloch Missing Persons (VBMP) has always claimed the highest toll, which, according to the organisation, has climbed dramatically in the last five years. In 2011, it was claimed by the organisation that 8,000 people had gone missing in Balochistan and 200 dead bodies had been found. However, they only had complete data regarding 1,300 people. In 2013, a US state department report noted that the VBMP had listed information on 2,627 missing persons. By 2012, VBMP’s claim of missing people had gone up to 14,385 and 400 dead bodies, an increase of more than 6,000 in one year. By the time of Mama Qadeer’s long march, VBMP had revised their figures to 18,000 and last month, April 2015, they increased it further to 21,000 missing and another 6,000 dead. It is not clear what is the number they have actual data on at this moment. 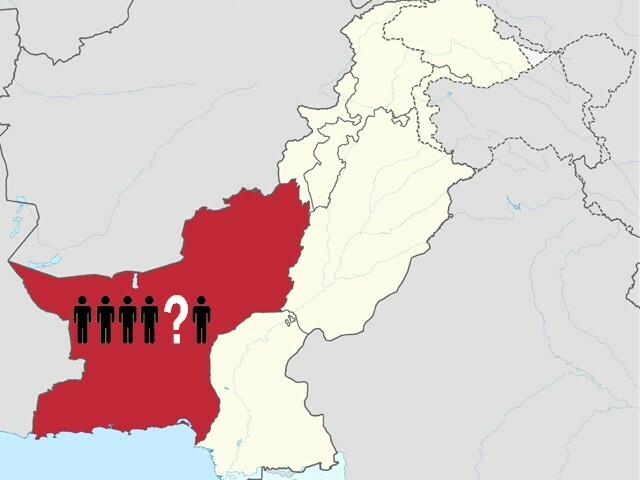 The International Voice for Baloch Missing Persons, an apparently separate organisation working for the same cause, has provided names and general areas of residence for the people who have gone missing from Balochistan on its website. Their database has names of around 600 missing people. The Baloch Republican Party (BRP) lists around 70 missing persons. 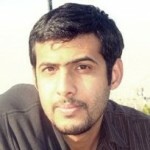 Jalil belonged to the BRP. The oldest victim listed is from 2009, so the data is probably partial. In terms of official bodies, the Commission of Inquiry on Enforced Disappearances (CIED) informed the Supreme Court that 982 missing persons had been traced in the last four years. According to CIED’s report, 1,273 cases of enforced disappearances are still unresolved, with only 122 of them belonging to Balochistan. The Balochistan assembly was informed recently that 135 cases of missing persons are in court, while 80 had already been traced. Defence of Human Rights, an NGO that traces missing people and has relatives of missing people included in its ranks, puts the number at 5,149. However, their figure is of missing persons in the whole country, not just Balochistan. HRCP has been vocal about the issue of Baloch missing persons, and HRCP’s IA Rehman was among the invitees of the cancelled LUMS talk. Two activists associated with HRCP are also among the extra-judicially killed in Balochistan. HRCP, in its 2012 fact finding mission titled Hopes, fears and alienation in Balochistan, confirmed 198 cases of missing people in Balochistan. These include those released and those still missing, and there is some overlap with those whose dead bodies had already turned up. A full list with each victim’s name and status is provided at the end. The word “overlap” is used because sometimes the bodies that turn up are not accounted for in the missing persons list. For example, the report gives a breakdown of the disappearances in the Makran area. One hundred and forty-eight cases of disappearances had come to the attention of HRCP since 2004, 103 of them had been released. However, 60 dead bodies had also turned up. Perhaps these can be accounted for if we include the work of alleged “death squads”. In addition to the disappearances phenomenon, activists blame state agencies for raising and/or empowering “death squads”. Comprised of religious outfit cadres or pro-establishment Baloch Sardars, in some cases the two working in tandem, these are armed groups that seek out and kill dissident or separatist elements. Coming back to the actual number of missing persons in Balochistan, it can be observed that government figures, plus those of human rights bodies, IVBMP and the inquiry commission all hover well below the 1,000 mark. The number claimed by VBMP – 21000 – is not backed by most other resources available on the matter, not even by the documentation they apparently possess. Similarly, the VBMP claim of 6,000 dead is a significant climb from their earlier figures. It also offers significant contrast when put beside other sources. For example, Balochistan assembly was informed that in the last five years, 612 dead bodies had been found in the province, 373 of them Baloch. The IVBMP’s database on extra-judicial killings of the Baloch consists of around 210 names. BRP has names of around 100. According to data compiled by the South Asia Terrorism Portal (SATP), 153 dumped bodies were recovered from Balochistan in 2014. This was much higher than the average because of the discovery of three mass graves. The 2013 number for bodies found is 39. It is unlikely for relatives of missing people to come forward, or those who have been released after being held and tortured to speak out, for fear of renewing their ordeal. It is unlikely though that such cases can account for a difference of around 20,000 missing persons, and 5,000 dead. However, it is hard to find an exact figure regarding how many people have been displaced, killed or released back to their families in Balochistan. PS: There are undeniably thousands of displaced Baloch, largely from Dera Bugti. They fled fighting when the army and Akbar Bugti faced off, or have been expelled because the security forces believe them to be loyal to the late Nawab and responsible for sabotaging activities. This is part 1 of a 3 part blog. The next part will cover the insurgency in the troubled province, specifically looking at the tactics used by militants and the damage they have caused. Its interesting how Baluchistan is getting more attention from Pakistani leftists after the CPEC plan was signed, it seems like they don’t want Pakistan and by Pakistan I mean all 4 provinces and 4 territories to prosper. Those living in Balochistan are greatly amused by fictitious figures presented by NGOs & well meaning authors who are ill informed on Balochistan. People have gone through trauma of militancy and are still facing the onslaught of militants but receded to quite an extent. The road between Karachi – Quetta had become so dangerous that people stopped travelling on it. Thanks to the efforts of LEAs that this road has been restored to the commuters. When Earth quake struck Turbat (Kech), Awaran, the biggest impediment in search, rescue and rehabilitation of people were the militants. LEAs were on one side rescuing the people displaced by natural calamity on the other hand held hostage by militants of BLA, BLF and BRA.